Nassau William Senior (September 26, 1790 – June 4, 1864), was an English economist who occupied the first chair of political economy in England. He was one of the leading economists of the early nineteenth century, and was active in advising successive British governments with regard to economic policy. His work with various commissions investigating trade unions, strikes, and working conditions was influential, resulting in the establishment of the workhouse system and other reforms. In his academic work, Senior strove to make economics more practical, based in reality rather than hypothetical assumptions. He introduced the idea that accumulation of capital be considered part of the cost of production, and advanced the "abstinence" theory of profit. He was strong in his objections to a number of theories, such as the pessimistic Malthusian theory of population growth and made significant criticisms of Ricardo's theory of rent. In turn, many of the ideas he was associated with, such as the "wages-fund" theory, were rejected by later theorists. Nevertheless, he made significant contributions to economic theory which were part of the effort to understand how economic relationships operate in society, and thus bring about the establishment of fair policies to support both society as a whole and the individuals within it. Nassau William Senior was born on September 26, 1790 in Compton, Berkshire, England, the eldest son of the Reverend John Raven Senior, vicar of Durnford, Wiltshire, and Mary Duke, the daughter of the solicitor-general of Barbados. He was educated at Eton and Magdalen College, Oxford. At Oxford he was a private student of Richard Whately, afterwards archbishop of Dublin, with whom he remained connected by ties of lifelong friendship. He obtained his Bachelor's degree in 1811, and qualified as a lawyer in 1819. 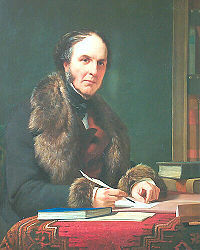 In 1836, during the chancellorship of Lord Cottenham, he was appointed Master in Chancery. Senior became interested in economics in the early stages of his career. He became the first Drummond professor of political economy at Oxford in 1825, occupying the chair until 1830, and again from 1847 to 1852. In 1830 he was requested by Prime Minister William Melbourne to inquire into the situation of strikes, to report on the impact of the Combination Acts (which made trade unions and collective bargaining illegal) and to suggest improvements. He was the author, together with Edwin Chadwick, of the Poor Law Amendment Act of 1834, which led to the establishment of the workhouse system in England. His An Outline of the Science of Political Economy (1836) was an attempt to bring classical economics closer to scientific principles. Senior was an advisor to successive British governments, advising them on important economic and political issues, including employment policy, trade, wages, working hours, and education. He played an important role especially as an advisor of the Whig Party. He was a member of the Poor Law Inquiry Commission of 1832, and of the Handloom Weavers Commission of 1837. The report of the latter, published in 1841, was drawn up by him, and he embodied in it the substance of the report he had prepared some years before on trade unionism and strikes. He was also one of the commissioners appointed in 1864 to inquire into popular education in England. Senior lost his position as professor of political economy at King's College, London, because of his support of the Catholic Church of Ireland. In the later years of his career, he traveled to foreign countries to study the political and social phenomena they exhibited. Several volumes of his journals have been published, among others Journal Kept in Turkey and Greece (1859) and Conversations and Journals in Egypt and Malta (1882). Senior was for many years a frequent contributor to the Edinburgh Quarterly, London Review, and North British Review, dealing in their pages with literary as well as with economic and political subjects. He died in Kensington, London, on June 4, 1864, at the age of 74. In his major work, An Outline of the Science of Political Economy (1836), Senior attempted to make economics more scientific and more practical. He criticized John Stuart Mill and others who, in his opinion, saw economics as a hypothetical science, based on postulates not corresponding with social realities. Senior believed that political economy is purely a deductive science, all the truths of which are inferences from social reality. Thus, according to him, the premises from which it sets out are not assumptions but facts. Political economy at that time, however, concerned itself only with wealth, and could therefore offer no practical counsel to politicians. It only suggested considerations that politicians should keep in mind in addressing issues, without offering any solutions. Therefore, political economy was impractical and limited. In several instances Senior improved the forms in which accepted doctrines were habitually stated. He also did excellent service by pointing out the arbitrary novelties, and frequent inconsistencies of terminology which were to be found in Ricardo's principal works. For example, Senior objected to Ricardo’s use of value in relation to the cost of production, and of high and low wages in correlation with a certain proportion of the product as distinguished from an absolute amount, as well as criticizing his peculiar employment of the epithets "fixed" and "circulating" as applied to capital. Senior also revealed that in numerous instances the premises assumed by Ricardo were false. Senior introduced the word “abstinence” into economic theory. His abstinence theory of profit describes the process of obtaining a reward for not spending one’s accumulated capital. He thus believed that the saving and accumulation of capital must be considered a part of the cost of production. He also opposed Thomas Robert Malthus, leading the revolt among classical economists against his theory of population growth. Senior argued that the growth of population, combined with the rising standards of living, would be able to support growth of the economy, contrary to what Malthusians claimed. Senior also made important contributions to the theory of rent, and improved the theory of the distribution of precious metals. He also drew a relationship between productivity and price levels. His theory that the last hour of work was the most productive hour, when profits are made, was later used to oppose the reduction of working hours in the manufacturing industry. Senior added some important considerations to what had been said by Adam Smith on the division of labor. He drew an important distinction between the rate of wages and the price of labor. Senior was also one of the developers of the ill-fated "wages-fund" doctrine, which was later harshly attacked by Francis Amasa Walker. William Nassau Senior was the first professor of political economy at Oxford University, occupying the first such chair in England. Through his work he made significant contributions to the theories of rent, population, money, and international trade. He never became as influential as Adam Smith, Thomas Robert Malthus, or David Ricardo, but his work advanced and developed their theories. Senior’s supply scheme of utility-based demand and the cost of production can be regarded as an important forerunner of the Marginalist Revolution. Senior, William N. 1835. Statement of the Provision for the Poor and of the Condition of the Laboring Classes in a Considerable Portion of America and Europe, being the Preface to the Foreign Communications in the Appendix to the Poor Law Report. Poor Law Commisioners. Senior, William N. 1837. Letters on the Factory Act, as it affects the cotton manufacture: Addressed, in the spring of 1837, to the Right Honourable the President of the Board of Trade. Poor Law Commissioners. History of "Nassau William Senior"
This page was last modified on 7 November 2018, at 15:46.